"I was not touched "there" by an angel". The crudely drawn Simpson family from The Tracey Ullman Show shorts are on the couch. The Simpsons, as they are currently drawn, come in. All ten of them scream and run out the living room. "Days of Wine and D'oh'ses" is the eighteenth episode of the eleventh season of the American animated sitcom The Simpsons. It originally aired on the Fox network in the United States on April 9, 2000. In the episode, Barney realizes how much of a pathetic drunk he is after watching his birthday party video and decides to give up alcohol forever, which does not sit well with his friend Homer. Meanwhile, Bart and Lisa work together to take a memorable photo for a new phone book cover contest. The episode was written by cast member Dan Castellaneta and his wife Deb Lacusta. Several staff members opposed the idea of Barney becoming sober because they did not think a sober Barney would be funny. Several critics, including Chris Turner, have also criticized the character's change. After watching his embarrassing birthday party video and being mocked by his friends with gag gifts, Barney finally sees he is a hideous drunk, and he promises to get sober. At first, he finds sustaining sobriety tough, but he finds his way to an AA meeting with Homer's help. Meanwhile, to get their picture on the cover of the new phone book, Bart and Lisa decide to enter an amateur photo contest. In the closet, they find an old camera and start to take snapshots. Elsewhere, Barney makes plans to change his life now that he is clean and sober. The Springfield Flight School is his first stop, where he takes helicopter-flying lessons. At Moe's Tavern, Homer is treated as the new Barney and is forced by Moe, Lenny and Carl to perform drunken antics. Barney gives Homer a ride in the helicopter a few lessons later. While in the air, the two men fight about Barney's new sobriety and Homer's unhappiness that they no longer have ridiculous adventures. Bart and Lisa are taking pictures atop Mt. Springfield when Bart starts a forest fire by carelessly discarding a hot flashbulb. The children are in imminent danger, and Barney and Homer must band together to save them. They hop into the helicopter, but land in the middle of a bridge when Barney panics over the task before him. When a Duff beer truck comes to a sudden stop, spilling its contents in front of a weakening Barney, Homer refuses to let him give up on sobriety and drinks an entire six-pack in his place. Together, Barney and a drunken Homer save the kids. The next day, at the Simpson house, Marge tells the children that the new phone books are here, and they have Bart and Lisa's picture on the front cover. Bart and Lisa come down, only to realize that the picture on one of the phone books is not the one of the fire on Mt. Springfield; it is actually a photo of baby Bart and Lisa naked on the toilet, causing them to scream in horror. Marge says that the shot was actually in the film on the camera, and that since she had taken it, she won the prize for them. Bart and Lisa, after accepting that they will be the laughingstock of the entire town, happily hug their mother, because they got the prize. Meanwhile, Barney's confidence and his relationship with Homer are restored, and he looks forward to an alcohol-free future, although he is now addicted to double-tall mocha lattes. It transpires that the coffees Barney drink are really supplied by Moe's coffee cart, who delights in the fact that Barney, having swapped his addiction for alcohol to coffee, is still a customer to him. 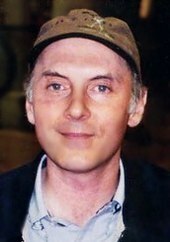 Cast member Dan Castellaneta and his wife wrote the episode. "Days of Wine and D'oh'ses", the eighteenth episode of the eleventh season of The Simpsons (1999–2000), was written by Dan Castellaneta and his wife Deb Lacusta, and directed by Neil Affleck. In the early 1990s, Castellaneta, the voice of Homer, Barney, and many other characters on the show, had conceived the idea to do an episode in which Barney sobers up. He told the idea to Lacusta, who wrote a draft that they then revised together. They presented their script to Al Jean when he and Mike Reiss were show runners on The Simpsons. Though Jean liked the story, he turned it down because the staff was already working on a similar episode where Homer gives up beer—"Duffless" (1993). Castellaneta and Lacusta waited several years and presented their script, which they had updated, to then-showrunner Mike Scully (1997–2001), who liked it but had them make some changes. Several members of the staff, including The Simpsons creator Matt Groening, has stated that they were against the episode as they felt Barney being sober was not funny. After a long discussion about how the episode should end, the writers decided that they did not want Barney to return to being drunk at the end of the episode. The character's new addiction to coffee was suggested by writer/producer David Mirkin, who had friends that had stopped drinking alcohol and became addicted to coffee. For the episode, the animators gave Barney back-slicked hair to indicate his sobriety, a look which Barney maintained in subsequent episodes until he relapsed in "I'm Spelling as Fast as I Can" (2003). Castellaneta altered his voice for the sober Barney by no longer slurring. The episode originally aired on the Fox network in the United States on April 9, 2000. On October 7, 2008, it was released on DVD as part of the box set The Simpsons – The Complete Eleventh Season. Staff members Mike Scully, George Meyer, Ian Maxtone-Graham, Dan Castellaneta, Deb Lacusta and Neil Affleck participated in the DVD audio commentary for the episode. Deleted scenes from the episode were also included on the box set. While reviewing the eleventh season of The Simpsons, DVD Movie Guide's Colin Jacobson commented that the episode "manages some good bits but not enough to make it a quality program." He also wrote that "If you thought that 'Alone Again, Natura-diddly' would be Season 11’s sole episode that features a big change for a secondary character, you thought wrong. No, Barney’s sobriety isn’t as major an event as Maude’s demise, but it actually has a bigger impact on the series. After all, Maude was a tertiary role; her disappearance affects secondary personality Ned, but she didn’t appear all that much, so she didn’t really go missed. Making Barney sober affects the series on a much more consistent basis – though probably not in a good way. After all, most of Barney’s appeal came from his drunken idiocy, so he loses his natural kick when he goes on the wagon." Several other writers have commented on Barney becoming sober. IGN staff members commented in 2006 that Barney has "been a dependable source of humor through his many drunken asides, burps included...Occasionally he's sobered up...But let's face it, for comedy's sake, The Simpsons is better off with a drunken Barney mouthing off at Moe's." Author Chris Turner wrote in his book Planet Simpson that "Barney is a good example of what happens when [the staff members] tinker too much. Barney was great as just the town drunk. Making him sober falls into the trap of all the stuff The Simpsons satirizes, all those simple sitcom narratives where everything is wrapped up in half an hour and everyone learns a lesson in the end." In 2001, "Days of Wine and D'oh'ses" received a commendation from the Prism Awards, which honors accurate portrayals of substance abuse, addiction and mental health in entertainment programming. ^ a b c d Affleck, Neil; Castellaneta, Dan; Lacusta, Deb; Maxtone-Graham, Ian; Meyer, George; Scully, Mike (2008). Commentary for "Days of Wine and D'oh'ses", in The Simpsons: The Complete Eleventh Season [DVD]. 20th Century Fox. ^ Rhodes, Joe (2000-10-21). "Flash! 24 Simpsons Stars Reveal Themselves". TV Guide. ^ "The Simpsons Episode: 'Days of Wine and D'oh'ses'". TV Guide. Retrieved 2011-10-08. ^ a b c Jacobson, Colin (2008-11-19). "The Simpsons: The Complete Eleventh Season (1999)". DVD Movie Guide. Retrieved 2011-10-02. ^ Jane, Ian (2008-11-01). "The Simpsons - The Complete Eleventh Season". DVD Talk. Retrieved 2011-10-02. ^ Goldman, Eric; Iverson, Dan; Brian Zoromski (2006-10-06). "Top 25 Simpsons Peripheral Characters". IGN. Archived from the original on 2008-09-29. Retrieved 2011-09-16. ^ Ortved, John (2009). The Simpsons: An Uncensored, Unauthorized History. New York: Faber and Faber. p. 176. ISBN 978-0-86547-988-3. ^ "Winners & Nominees 2001 Television". PRISM Awards. Retrieved 2011-10-14. Wikiquote has quotations related to: "Days of Wine and D'oh'ses"
"Days of Wine and D'oh'ses episode capsule". The Simpsons Archive. "Guess Who's Coming to Criticize Dinner?"